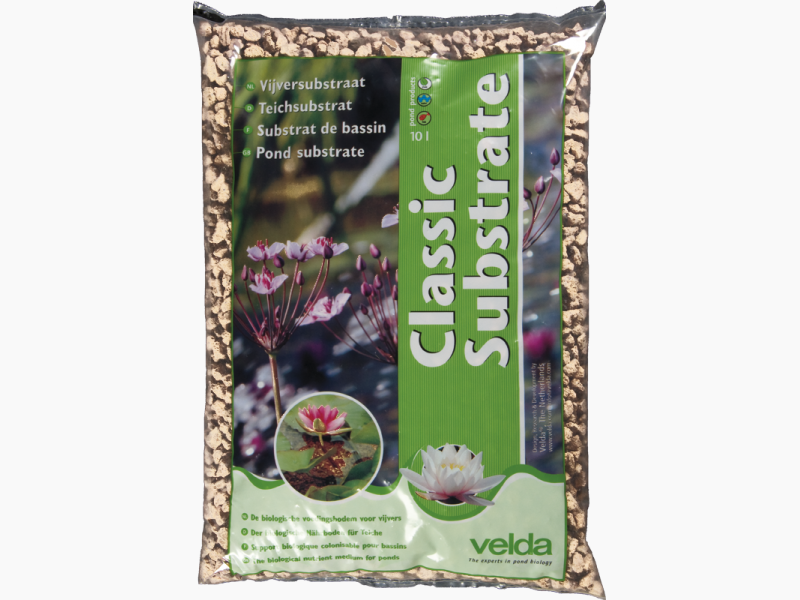 Classic Substrate from Velda is the standard for a biological nutrient medium for garden ponds. 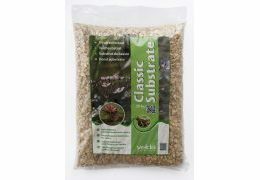 Owing to its very light and porous structure, this substrate provides maximum adherence of micro-organisms. Clear water guaranteed! Available in bags of 10, 20 and 30 kg. 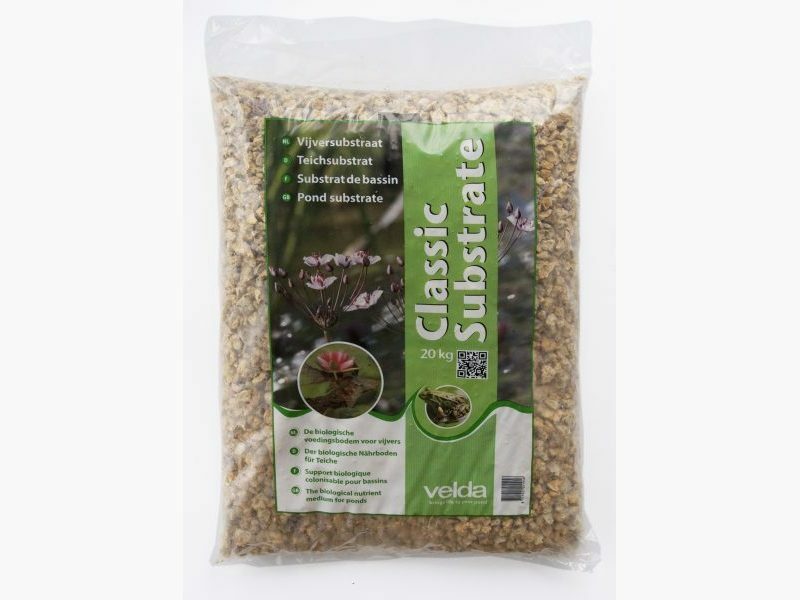 To obtain a natural and stable balance in garden ponds, the substrate is important for the development of micro-organisms. 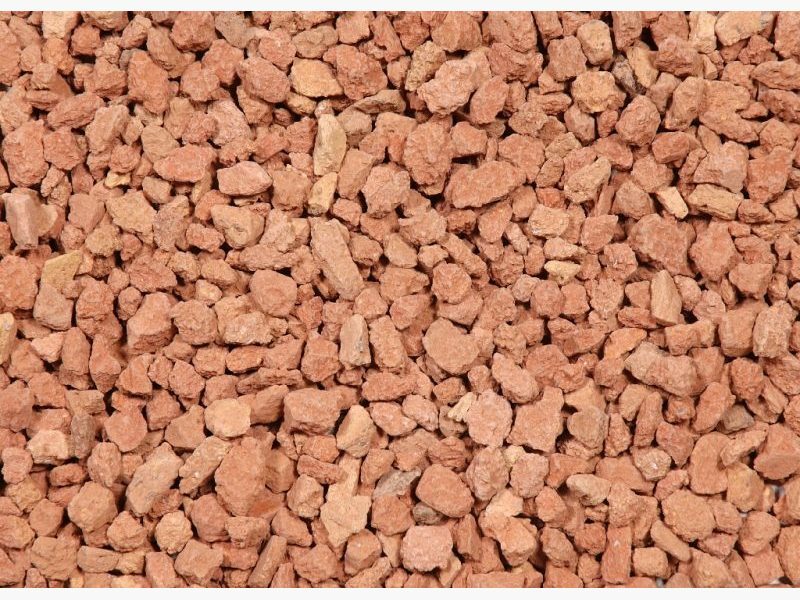 Also, the material should contain a sufficient amount of nutrition for the growth of pond plants. With this knowledge Velda has composed the pond substrate referred to. 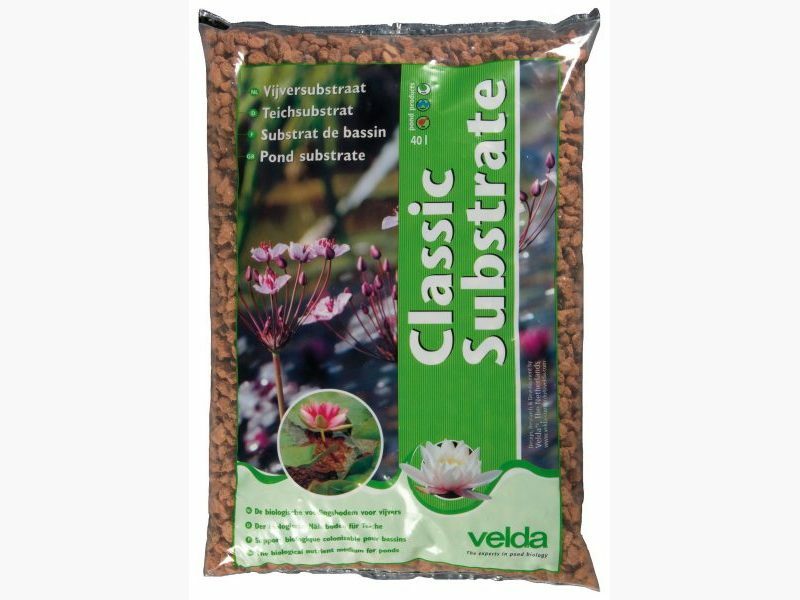 Consequently Velda pond substrate has been leading for many years in the field of pond nutrient media. 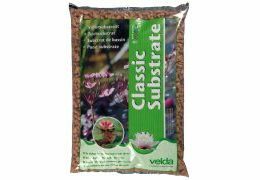 The substrate has an open structure and a large internal surface area. This guarantees maximum growth of micro-organisms. Besides, strong constant growth of water lilies and marsh plants is guaranteed by a sophisticated composition, including minerals and trace elements. Ponds sunk with Velda pond substrate obviously result in a quicker development and achievement of a biological balance and finally a clear water garden. 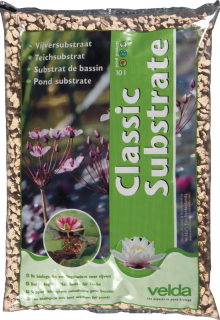 Advice for use: distribute a 2 cm layer of substrate on the pond bottom. This can also be done in existing ponds. Simultaneous use of Bacterial nitrifying bacteria will prevent algal growth and provides a stable pond environment. If a new pond is sunk, it is recommended to treat tap water with Biofit. This makes the water fish-friendly and it also will prevent early algal growth.